Cool names huh? Feel free to add any great names that you come upon while blogging. 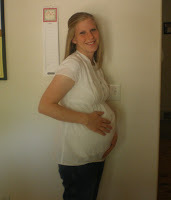 Well, today is my due date...weird! I never thought this day would come. But here it is. There is just no baby yet :) It can't be too much longer now. 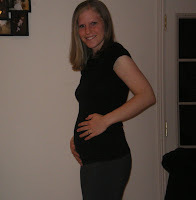 No baby yet...but I am feeling pretty good and I don't mind just waiting until he is ready to come (at this point). 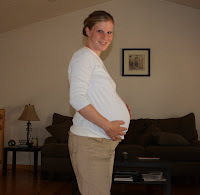 I don't think I will post a picture of my belly anymore because I think it is pretty much the same. Cross your fingers for me! I have been so blessed to receive a lot of baby stuff from my sisters and to have 2 baby showers!! We are totally set and I feel a little guilty but very blesses and grateful for all that we have been given!! 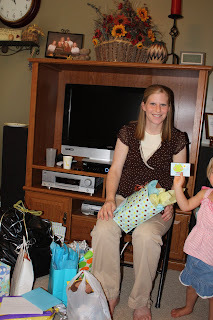 Here are a few pictures from the baby shower I had at my mom's house in Layton. I love this one! 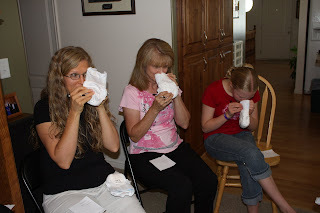 We played a game where you had to smell the diaper and guess what food was in it! (There were things like corn, beans, vanilla, etc. 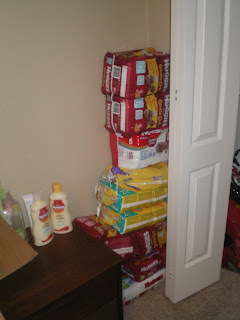 -all food items, no real poop :) This is my sister Tara, my mom and my niece, Ariel. 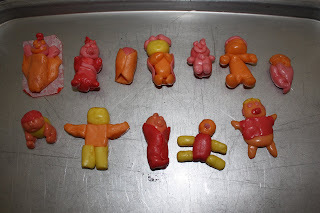 We played another game where we made babies out of Starbursts. Mine is the one in the middle front that looks like an alien!! This is from the shower that I had in Springville with some friends. 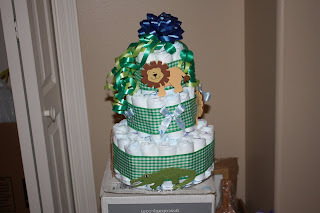 It is a diaper cake that someone make for me! Cool stuff, huh? 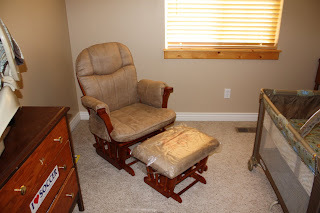 Lots of people gave me money so that I could buy a rocking chair! 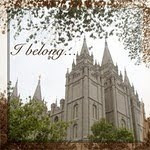 I am pretty excited about it! We are getting pretty excited and all we need now is the baby! Check out the stack of diapers in the coroner! Any time now...could be days...could be weeks. But at least I know it won't be months! 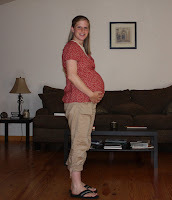 And now here I am at 37 weeks! Do you think I will get much bigger?